If you have a working Hedco snowmaker, he likely designed it. 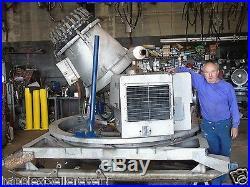 Blizzard currently houses over a million dollars in parts for virtually all Hedco Snowmaking machines. Extensive used and new old stock parts for many Hedco models including CD , Mark 2 II , EL , H2D. For further info please contact Paul at Blizzard Snowmaking. 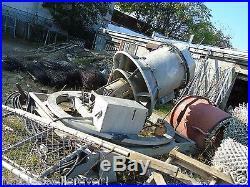 The Model EL listed in pictures 3 and 4 is what is for sale in this listing, as-is for parts only. PLEASE CONTACT FOR ALL HEDCO SNOW MACHINES AND PARTS ONLY. BUYERS FOR HEDCO PARTS AND SERVICE ONLY PLEASE CALL Paul at Blizzard. 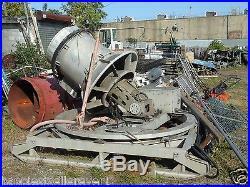 The item "Hedco Snowmaker Snowmaking Parts New Used Snow Machine Model EL BK Mark 2 II H2D" is in sale since Tuesday, November 29, 2011. This item is in the category "Everything Else\Weird Stuff\Slightly Unusual"." and is located in Elmwood Park, New Jersey. This item can be shipped worldwide.